Though there are faint traces here and there around Mill Valley of its former glory as a hippy enclave that once hosted John and Yoko in the 70's, it is now most definitely the bohemian chic heartland of Marin. Its weather pattern is distinctly San Francisco, with fog rolling in most days. But who can resist the glorious green hills, breezy City commute (by bike if you're up for it), and the downtown plaza that could almost be mistaken for any old charming Main Street America. That is, if the founder of Restoration Hardware or Remodelista weren't sitting next to you. Bike, hike or stroll. The gorgeous scenery is what you're paying the big bucks for! Hang out in the plaza with a cup of coffee while your kids play. Drive out to ogle the ancient redwoods at Muir Woods or hit the beach. Dinner with the family at Molina. Retire in your late 20's after founding an Internet empire. Walk score says, "Most errands can be accomplished on foot." Casual elegance for men and women, with lots of boiled wool fibers in a beautiful sunny shop. Assortment of manly goods and generally useful stuff for outdoorsy people who want to look good. Local hangout and cool bookstore where you can grab a coffee, read on the patio, and watch the action downtown. Unique clothes and toys for the whole family. Hands down the biggest, best (most iconic, if you care) surf and skate shop in Marin County. There are all kinds of gems inside this warehouse-style shop, including an indoor skate park, a music school, and a trendy Equator coffee shop and cafe. Super buzzy, flagship shop serving delicious single-origin coffees - not to mention sweet and savory waffle creations, egg sandwiches, wine and beer! The perfect stop-over in downtown MV. Woodfired perfection. Rustic but modern, comforting but edgy. Everything is cooked on an open fire by the bar, and you get a cool "play list' on the back of your menu. One of the most popular restaurants in Marin. Super-popular, colorful and casual restaurant serving up Puerto Rican dishes. These are delicious burgers served in a hip old-fashioned setting, with locally sourced ingredients and humanely raised feef. "Slow food values." Mill Valley is an open enrollment district serving five elementaries and one shared middle school. This is important because your child will not necessarily attend your neighborhood school at the elementary level. Link to enrollment information here. All elementary schools in Mill Valley are generally comparable by test scores, although Edna Maguire scores slightly lower in School Grade rankings than Park or Old Mill, which are also in the downtown Mill Valley area (Edna Maguire scores a B instead of an A). Ask an expert Hoodvibe agent in this market (see below) about the latest school district information and check out the Mill Valley District website (proximity makes a difference to whether your child will attend their neighborhood school but it is only one in a range of factors). Kiddo is the Mill Valley fundraising organization which pools money between schools across the District to supplement programs that would have been otherwise cut because of California state budget restrictions. More about finding your way around a California School District here. PTA fundraising per school is determined by Kiddo and the School District, but there are restrictions on per-school fundraising to ensure equitable distribution across the District. Mill Valley Middle School is highly ranked by both Great Schools and School Grades. It is a large school, serving all of the Mill Valley community moving on from the five elementary schools, and enrichment funding is also channeled through Kiddo and the Mill Valley Middle PTSA. The most popular high school option for students in Mill Valley is nearby Tam High, although some students do apply to attend Redwood High School in Larkspur (also in the Tamalpais Union School District) with its super-academic reputation. Although many move to Mill Valley for the strong public schools, being so close to San Francisco and not short on cash, a steady trickle of kids attend nearby privates. Popular choices include Marin Country Day (Corte Madera), Marin Academy (San Rafael) or Branson School (Ross) and City privates like Hamlin School for Girls, Town School for Boys, Sacred Heart, or Stuart Hall. Easy peasy hop onto the 101 into SF. 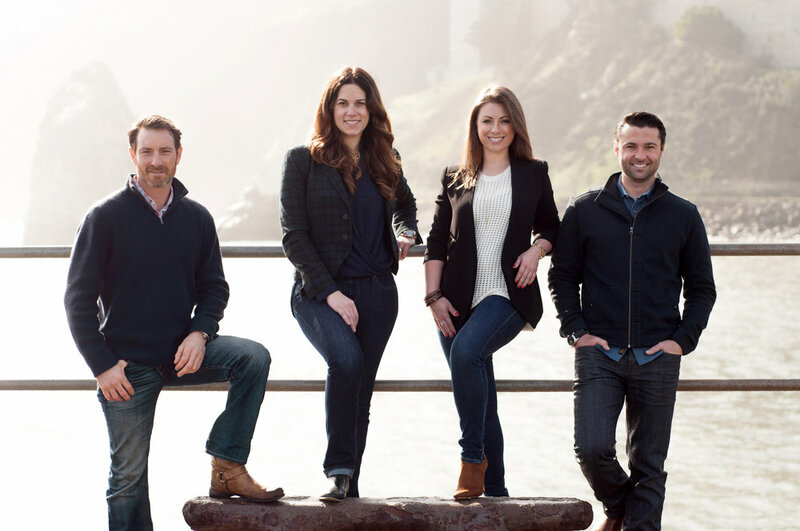 A consistent top producer in Marin County, Chelsea began her real estate career in 2003. Previously, she spent nearly a decade in the financial industry, the majority of her focus in institutional equity research sales to domestic and foreign institutions in the U.S., Italy, Switzerland, and the U.K. Chelsea’s extensive research and sales experience, combined with her managerial skills demonstrated by running a successful equity sales team in London as a Managing Director with Bank of America Securities, and her personal interest in real estate, made for an easy transition into residential real estate sales. "Residential real estate agents are a mixed bag. I've worked with five over the last several years and have interviewed several more. Chelsea is far superior to any I have dealt with and I would use her again and again. It's not just in one area that she excels. She is the complete package: smart, responsive, creative and tenacious. In a down market Chelsea took the listing for our house, developed a creative marketing approach, and attended every broker and buyer open house. Compare this to other brokers who will often attend the first or second opening and then outsource additional showings to other agents. In the rare instance that she doesn't answer her phone she will respond within the hour, if not within minutes. She priced our house right and sold it quickly. We were so impressed that we retained her on the buy side. That transaction was unusual and more complicated than several commercial deals I have worked on. Unfazed, Chelsea's skills were put to test, again with a successful result. She does not take "no" or "next week" or "maybe" for an answer. She drives results for her clients. In a crowded industry with uneven talent, Chelsea is the right choice."